The benefits of meditation are many on the path to self-discovery, healing and transformation. Meditation is used by many people to alleviate stress and quiet the mind. But the benefits of tuning into what many ancient texts have called the “still, small voice within” go way beyond simply created more inner peace and calm. In fact, after investing the last 40 years studying, applying and mentoring others in transformational principles, I’ve never come across a better tool for success than meditation! Whether you call it prayer, personal reflection or simply quiet contemplation, when you meditate to still your mind and body for even just a few minutes each day, you can dramatically improve every area of your life. Here are some of the most important physical, mental, emotional and spiritual benefits of meditation and how they can move you create a life you truly love living. Our minds and bodies are interconnected, and the condition of one affects the condition of the other. In other words, a mind filled with scattered thoughts can create a stressed body. On the other hand, a clear mind usually results in a relaxed body capable of moving you forward in life! While you may already be familiar with the importance of taking rest days when it comes to physical exercise, it’s also essential to give yourself mental rest breaks each day. During meditation, you focus your attention, which reduces all those chaotic thoughts that can often crowd your mind and cause stress and even burnout. Reducing stress and creating more peace and calm is imperative to your personal development process, because it’s only in a relaxed state that you’re able to access the creative, expansive parts of your mind. Research has shown that people who meditate on a consistent basis sleep better, even if they only meditate for five or 10 minutes a day. And we all know that being well-rested means more energy and a greater ability to be more productive each day! Meditation is now commonly known to lower blood pressure and cholesterol, promote faster healing and strengthen the immune system. Highly successful people know that having a healthy body is incredibly important when it comes to pursuing their goals and bringing their dreams into reality. When you feel more grounded, focused and confident, challenging people and situations you encounter throughout your day will be less likely to hook your attention and distract you from the important things in your life. Creating a life of joy, passion, purpose and contribution starts with choosing to let go of thoughts that don’t align with your vision. When you meditate, rather than just thinking random thoughts on autopilot, you begin noticing the thoughts you’re thinking. This is the first step to being able to give more energy to thoughts that will actually move you forward in life, versus keep you stuck. In addition to meditation, I start out each morning with a simple 30-second morning gratitude practice. It’s easy and has been a powerful part of my daily routine for decades! Those who meditate regularly are able to keep their minds on the big picture, which is essential when it comes to transforming your goals and dreams into reality. By dedicating time to go within on a consistent basis, you’ll be more attuned to your intuition about whether specific people, opportunities or actions you’re thinking about taking are IN or OUT of alignment with your goals and dreams. The more in touch you are with your intuition, the more you’ll know how to have self-confidence in the face of fear so that you can move in a specific direction toward your dreams without hesitation or doubt. As you continue to practice meditation on a regular basis, you’ll become even more in touch and comfortable with your emotions – and ultimately more comfortable with yourself. From this place of acceptance, you’ll experience a sense of inner peace and connection with others, which is an essential part of a happy, productive life. Highly successful people regularly talk about the benefits of gratitude in their lives. By creating time to reflect on your life each and every day, you invite a feeling of gratitude, which is the foundation for attracting more of what you would love into your experience AND create a life you truly love living. You can also encourage others to tune into where they can experience greater gratitude in their lives. For example, you can ask a friend, “What are you grateful for today?” Or, you can share inspiring gratitude quotes by text message or social media to elevate the hearts and minds of the people you care about! Life can sometimes be challenging, and meditating regularly does not mean you ignore any people, situations or circumstances that may feel difficult for you. 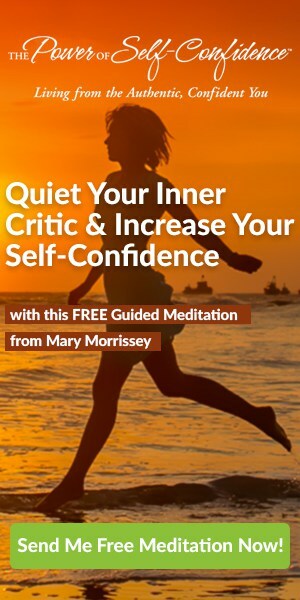 However, daily meditation will make it easier to turn down the volume of your inner critic, directed at yourself and others. The fact is, your inner voice has the power to shape your reality. You can either choose to listen to the voice that will help raise you to a higher vibration, creating gratitude for what you have and who you are… or choose to listen to the voice that’s constantly criticizing and judging, therefore generating more resistance, struggle and lack. Meditation is an experience that takes you to the depths of who you really are, stripped of all the perceptions you’ve had about yourself. 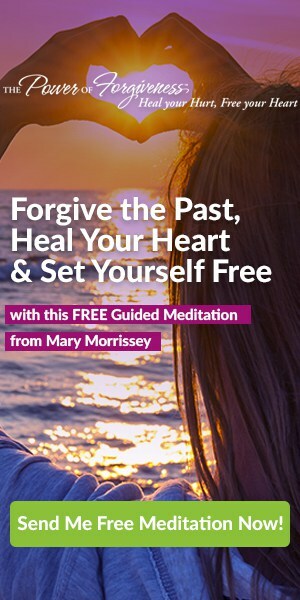 This ancient practice has the power to remind you of the eternal truth that you are a spiritual being having a human experience, and can help free you from the painful stories of your past so you can experience a more fulfilling, joy-filled present and future. When we meditate regularly, we create an opportunity to notice what’s right in front of us, and begin to see and think beyond the frantic and often over stimulating world that surrounds us. The more you’re able to practice love and forgiveness, the more inner peace you’ll experience within yourself, as well as more joyful, productive relationships with others! Meditation also gives you the perfect opportunity to release bitterness and resentment, which is a powerful personal development lesson. When you reflect on the state of your relationships and explore how you can continue to nurture them, you energetically free yourself up and expand and grow into the next best version of yourself. Have you ever wondered how to find your passion? By setting an intention to quiet the chatter of your mind, you’ll more easily tune into what your soul is trying to tell you about your true calling. 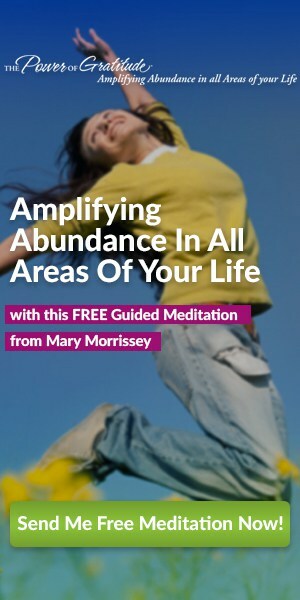 This will help you continue to create a life that’s a joyful expression of your highest purpose, and feel more inspired and passionate along the way! Meditation is a wonderful way to practice mindfulness. Through consistent meditation, you’ll continue to see how your thoughts and feelings tend to move in particular patterns. If you make a regular practice of noticing what you’re noticing, your days will be lived in a state of greater self-awareness, appreciation and gratitude, and you’ll be able to choose who you’re going to be and what you’ll experience in any given moment. When you meditation regularly and begin to elevate the physical, mental, emotional and spiritual parts of your life, you can experience greater fulfillment, happiness, confidence and peace of mind in all areas of your life. This being the case, why don’t more people meditate? Even though most people have heard of the countless benefits of meditation, many haven’t made it a part of their daily practice because they think it’s “really hard” or they have the impression they’ll have to sit cross-legged in uncomfortable silence for an hour. Even if you set an intention to sit outside in your backyard for five to 10 minutes each morning and breathe in deeply, experience the silence, and contemplate your challenges, goals and dreams, meditation can have a massive impact on your life. By allowing yourself quiet time each day, more opportunities will most likely begin to present themselves to you, resulting in a much freer, fuller, more expansive experience of being alive. So what will happen if you start meditating today? If you enjoyed these insights into the wonderful benefits of meditation, please share them with friends, family, loved ones via social media! 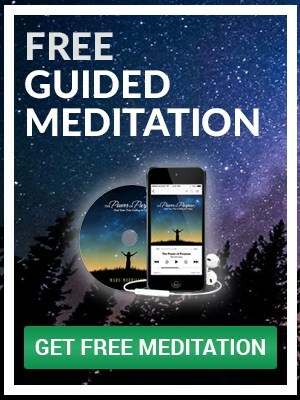 The Power of Meditation – Free!